Driveways began appearing on homes in the second half of the 19th century. Gravel was the most popular surfacing material during those times while stone, brick, and flagstone became popular alternatives. During the age of motorized vehicles in the 20th century, driveways and back alley access became commonplace. Asphalt and concrete became widely popular next. Nowadays, there are a variety of materials to choose from for your driveway as well as different types. Concrete driveways are certainly one of the most popular driveway styles. There are many excellent benefits to owning a nice concrete driveway. The most apparent reason that people choose these driveways so frequently is that they last a very long time. A concrete driveway is exceptionally durable, and, as a result, you will be able to make use of it for many years without having to do repairs or get a new one installed. The durable nature of concrete makes it a perfect material to use for a driveway. It is capable of standing up to regular use, and you won’t even have to worry too much about maintenance. When you have a concrete driveway installed by skilled professionals, it is going to stand the test of time. You won’t have to address many issues, and it will be reliable and functional for many years. However, there are some negative features with concrete driveways that should be discussed. For instance, a concrete driveway is very prone to becoming stained. If you decide that you want to change the oil in your car while it was parked in your driveway, you will need to be very careful not to spill anything. If you spill oil on a concrete driveway, then it is going to stain, and you will have a very difficult time trying to get it out. People who live in incredibly cold climates might not want to choose concrete driveways, either. The surface can be harmed by the ice that is formed during the coldest months of the year. The concrete will break down over time if it repeatedly freezes, so you will either need to get repairs every so often or replace it after a certain amount of time. If the temperatures regularly dip below freezing in your area, then it is recommended to consider another option for your driveway. 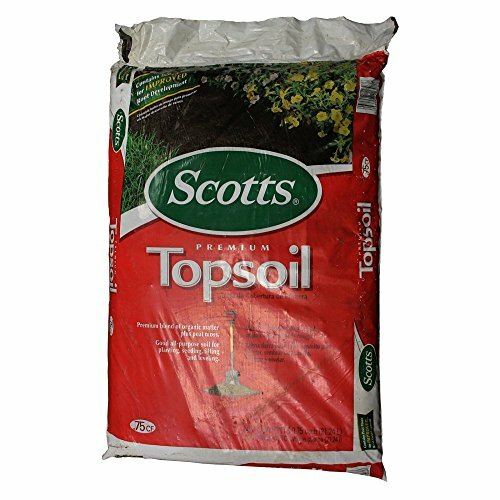 Asphalt is another really common substance that you will see people using for their driveways. Asphalt driveways have several advantages over their concrete cousins. The first is that it has a very vibrant black appearance that makes the driveway look clean and presentable. A nice asphalt driveway is going to look very attractive on your property, and you will have a good experience when parking your vehicles on it. The other big advantage is that it is very inexpensive to get an asphalt driveway installed. If you decide to go the route of installing an asphalt driveway, then you will be able to save yourself a significant amount of money. This is going to be one of the most cost-effective solutions to consider when you’re in need of a new driveway. Asphalt driveways are very high-quality as well, so you will be getting an excellent driveway for your money. Problems start to rear their head with this type of a driveway when you consider the maintenance that needs to be performed. These asphalt driveways aren’t as easy to maintain as the concrete driveways. You will need to have somewhat regular maintenance performed on your asphalt driveway if you want it to stay in a good state of repair. The surface of these driveways can crack, and these cracks will need to be patched up expediently. Allowing the cracks to persist will cause them to worsen, and your overall parking experience is going to be the lesser for it. 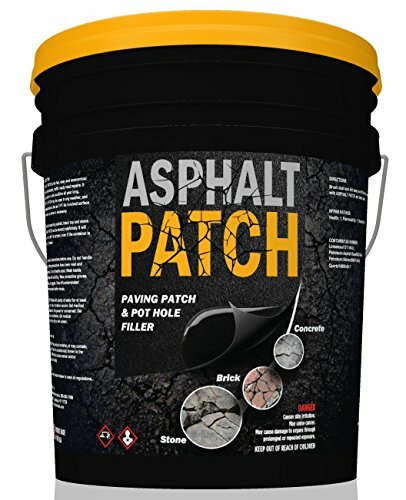 Luckily, it isn’t too difficult to patch up an asphalt driveway. You can potentially purchase the needed materials and perform the task yourself. For those who aren’t handy with such matters, this is going to be a bit of an annoyance. If you don’t want to have to bother with performing maintenance or hiring someone to fix things up, then you may be better-suited to choosing a different type of driveway. Brick probably isn’t the first material that comes to mind when you are thinking about driveways, but people do like to have these installed. Brick has an undeniably interesting look to it, and it can make for a very beautiful driveway. If you want to have a driveway on your property that is going to turn some heads, then getting one of these installed isn’t a bad idea. It will give your property a very classic appeal that will make it seem unique in your neighborhood. The aesthetic appeal or brick is very nice. It will work well if you have the right type of home to accompany it. Being able to own one of these brick driveways is a real treat. It will make your home feel more interesting, and it can actually be a great surface to park on when it is installed properly. You need to make sure that brick driveways are installed properly, though. If anything is done improperly, then you’re going to have a rough time trying to use your new brick driveway. You want it to look really nice and function well, so, in most cases, you will want to hire professionals to install this type of a driveway. If you plan on doing it yourself, then just be prepared to approach things correctly. It’s also important to note that brick is an expensive material to work with. If you decide to install a brick driveway in your home, then you will have to pay a premium price for this privilege. This is going to be one of the most expensive types of driveways that you can make use of. The benefit to it is that it could potentially last for several years, perhaps even decades, if the driveway is installed really well. Gravel driveways have become a really popular option for people who live in rural areas. You might find some people who live in urban environments making use of gravel driveways, but it is much more common in the country. Many people see it as a simple way to make an upgrade from a dirt driveway, and it doesn’t take too much expertise to be able to install one of these. Generally, gravel driveways can be installed very quickly, and they are able to be used pretty much right away. Installation of a gravel driveway typically involves pouring gravel inside of some type of a barrier. People will use wood or brick to contain the gravel, and they will then make a path that is going to be defined as the driveway. The gravel is packed down as tightly as it can be, and then, the driveway is ready to use. Many people choose to install gravel driveways themselves, but it is also possible to seek out professional installation if you so choose. The problem with installing a gravel driveway is that it won’t have a much longevity. Many of the options mentioned above are very appealing because they can last for a long time. Gravel is a loose substance, and you are going to lose a lot of it over time. This means that you are going to have to periodically replace the gravel in order to maintain your driveway. This can be a bit of a nuisance, and you will likely wind up having to buy new gravel every year or so. This is pretty frequent, and when people hear this, it can take the wind out of their sails. Thankfully, gravel isn’t outrageously priced. You can purchase new gravel without having to break the bank, so it is just up to you on whether or not this is going to be something you will want to do. You will find people in rural areas that make use of dirt driveways every single day. These driveways have a certain natural charm to them, but they can be inconvenient at times too. If you decide to use a dirt driveway on your property, then you are going to run into certain problems over time. Dirt is prone to becoming mud when it becomes wet from the rain. Depending on the amount of precipitation that you get in your area, it may not be very convenient at all to have a dirt driveway. Some dirt driveways can turn into muddy areas that are nearly impossible to drive through when a storm hits. This makes parking in your driveway almost impossible, and you may even have difficulties leaving your home. This is one of the primary reasons that people consider installing gravel driveways as an easy upgrade from their current dirt driveways. Getting your car stuck in the mud can definitely be a frustrating experience. Not all people who have dirt driveways are this unlucky, though. Depending on the consistency of the soil in your area, you may not have too many problems with mud during a rainstorm. Make sure that you take everything into consideration so that you can have the most convenient situation possible. Crushed stone driveways have quite a bit in common with gravel driveways. You will create a crushed stone driveway on your property in nearly the same way that you would a gravel one. You need to define a path and create a barrier in which the crushed stone will be housed. Everything gets packed down tightly, and you will then have a new driveway to look forward to using. This material has many of the same weaknesses as the gravel driveway. It is a loose material, so you will need to replace the crushed stone from time to time. Many people find crushed stone driveways to be more aesthetically pleasing than gravel ones. You are able to choose from many different types of crushed stones, and this allows for several different colors to be used. A really nice crushed stone driveway can look absolutely stunning when it is done correctly. If you choose the style of the crushed stone well, while making sure that you pair the colors up to match with your home, then it will look great. Be sure that you choose carefully, and you will have a nice driveway that will look very visually appealing. The problem with this driveway is that it won’t be too easy to deal with in the winter. Winter time can create many problems for crushed stone driveways. If you live in an area that has regular snowfall during the winter months, then you will have a tough time removing the snow from this driveway. While trying to shovel the snow, you might wind up shoveling out bits of your driveway. You also won’t want to use a snowblower as you will run the risk of slinging crushed stones at high velocity, which is incredibly dangerous. If you are fond of aspects of design that hearken back to the old days, then you might enjoy having a cobblestone driveway. In some ways, creating a cobblestone driveway is similar to having a brick driveway installed. They will both function very similarly, and both provide a significant amount of appeal from a visual perspective. The big difference is that cobblestone actually costs a fair bit more to use than brick. Brick is a fairly expensive material to work with, generally speaking. So the idea of having to spend a little more money than that to install a cobblestone driveway may put some people off. These driveways do look very fancy when they are installed properly. Depending on the type of property that you have, it could wind up going very well with everything that you have going on. When a cobblestone driveway is installed to perfection, it is going to be able to last you several decades. You might be able to make use of your new cobblestone driveway for twenty years, while only having to make minor repairs to it. This is pretty great, as other types of driveways will likely require much more maintenance. This will depend partially on how well the driveway was installed, and partially how roughly you are going to use your driveway. If you do your best to take care of this driveway properly, then you will have a good experience. This is a premium driveway that is going to make your house stand out from the others in your neighborhood. Anyone who wants to create a unique look on their property should consider a cobblestone driveway. It may not be the optimal choice for everyone, but it could be an excellent one for you. Crushed basalt is a material that can provide a lovely driveway for your home. If you want to purchase something that is going to give your home a very sleek and elegant look, then you will love crushed basalt. This option has steadily become more popular over the last few years. Not every driveway company in the country is working with crushed basalt, but those that do find that it is a very sought-after option. The crushed basalt can be used much in the same way as gravel. However, it has a unique visual appeal that is going to make it stand out in your neighborhood. Many times people choose to have a driveway installed based on how visually impressive it is. This driveway is going to please you with how pretty it is, but it will also be able to function quite well. This material is prone to some of the problems that come with having loose stones in your driveway. It may not be the easiest option if you are living in an area that has a lot of snowfall. This can be a deal breaker for many people, so you will want to take your climate into careful consideration. It’s important to have a driveway that is going to work well for you, so you won’t want to buy this if it isn’t going to be as functional as you would hope. Regardless of this caveat, this is a good option that you will want to keep in mind. If you live in a warmer climate and don’t mind the idea of having to replace the crushed basalt every once in a while, then this option is going to be great. You can enjoy a really beautiful driveway that is sure to impress anyone who comes over to your home. Whether you are installing it yourself or getting the help of professionals, this driveway should turn out superbly. At first glance, you might think that this seems like a really odd choice for a driveway. That would definitely be the response that most people would have when the words glass and driveway are used in the same sentence. Interestingly, glass driveways can actually be a pretty handy solution, and they look really nice, too. This isn’t ordinary glass and it isn’t going to cut up your tires, so you don’t have to worry about that. Recycled glass is used to create these remarkable driveways. The recycled glass has been professionally tumbled and sealed with resin to be as strong as it can possibly be. The fact that it was sealed with resin is going to allow it to be used for many years without creating any issues for you. It will be able to function exceptionally well as a driveway for a long time, so it is seen as a very cost-effective method. Since recycled glass is used to make these driveways, it is also very environmentally-friendly. You will be rescuing glass from a landfill somewhere and repurposing it in a meaningful way. Environmental issues have been at the forefront of conversation for many years now. Being able to make a choice that is environmentally-conscious feels nice, and you will be getting a really pretty driveway as well. Another positive about this type of driveway is that it is very low maintenance. When it is installed properly, you won’t have to do much at all to maintain it. This allows you to simply sit back and enjoy having a really good looking driveway without having to worry about too many particulars. Many color options are available, so you will be able to tailor a recycled glass driveway to your tastes. People who like to keep things looking as natural as possible have started to use these green lawn driveways. You might think that this simply means parking your car on the grass, but this isn’t actually the case. Green lawn driveways typically have a sort of plastic underlay that is placed underneath the grass itself. This allows the grass to function better as a driveway, as it can remain more stable than it usually would. There is another type of green lawn driveway that people use, too. The second type functions more like a typical concrete driveway, but it has holes where the grass peeks through. The concrete or plastic grid is placed over the top of a lawn and grass will grow up through the holes in the grid. People who like being able to see as much greenery as possible on their properties find this option to be quite appealing. The plastic underlay option is probably going to be the most appealing, though. It will look like you are simply parking on the grass, but it will function very well. Parking your cars on this type of a surface will work, but it may not be as smooth of an experience as something like a concrete driveway. For this reason, it is only really appealing to a specific subset of people who want to have everything be as green as possible. In addition, keep in mind that you need to take care of this grass. If the lawn is not properly maintained, then it will die. You will need to pay close attention to how you are caring for the lawn itself. This added bit of maintenance may be seen as an inconvenience by some, so make sure that you weigh your options before making your ultimate decision. Some driveways use two or more of the above materials. Usually, one material is for the border and the other for the driveway proper. Here’s an example of a brick and concrete driveway. It’s important to mention that there are a few different shapes of driveways that you will be able to choose from. The most common driveway shape is a straight driveway. These driveways are really simple to make, and they don’t require as much planning if you’re thinking of doing it yourself. Depending on your property type, a straight driveway may be the only real option. Curved driveways are necessary for properties that are positioned in a certain way. A nice curved driveway can be very aesthetically pleasing, so some people like the idea of the curve being more interesting to look at. Whether your property is away from the road, or if you simply want to create a curve to make things more visually fun, this is an option which allows you to be creative. Talk to professional driveway installers to go over your options or do some research online to help you plan out a DIY curved driveway project. See 36 circular driveway examples here.